The Lamborghini Murcielago may not be everybody's idea of a dream car but there's no mistaking its pedigree as one of the Worlds best known super-cars. Photographer Tim Wallace spent some time with the Murcielago this week to produce a package of images for one of our marketing clients. The Lamborghini Murciélago is a high-performance two-door, two-seat sports car produced by Italian automaker Lamborghini. Often referred to as a supercar, it is powered by a recent evolution of the Lamborghini V12 engine, and is the flagship of the automaker's lineup. The Murciélago was introduced as a coupé in 2001 for the 2002 model year, succeeding the famed Diablo supercar in Lamborghini's lineup. The car was the automaker's first new design in eleven years, as well as the first under the ownership of German automaker VW. 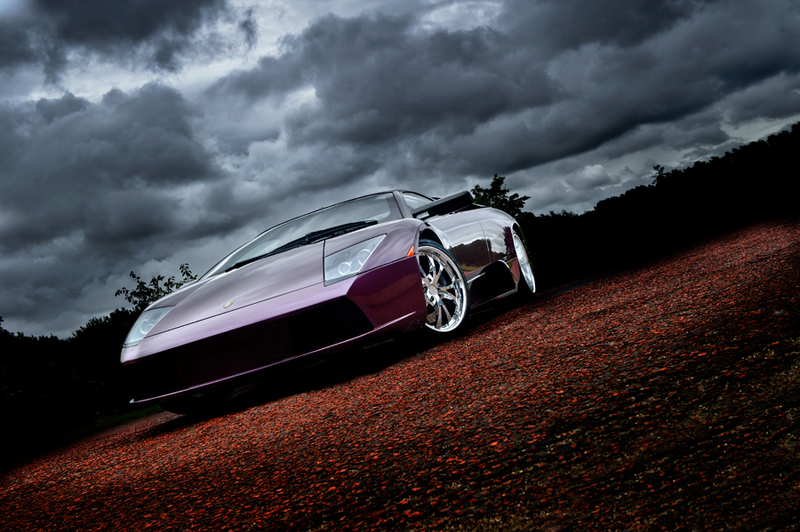 The Murciélago was styled by Peruvian-born Belgian Luc Donckerwolke, Lamborghini's head of design from 1998 to 2005. A roadster version of the car was introduced in 2004, followed by the updated LP 640 coupé and roadster and LP 650-4 Roadster. The most recent evolution of the model is the LP 670-4 SuperVeloce, a highly tuned version that is expected to be the last iteration of the Murciélago nameplate, before the model is replaced in early 2012.